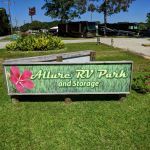 Ask fellow campers about "Allure RV Park and Storage" and nearby attractions. Nice big and clean park, very difficult to find with out a GPS, road off exit #44 is extremely New park with long raised gravel sites the wooden platform mentioned previously are for when it rains, grassy area between sited is low soft and floods easily so do not get your rig off the gravel. No office we were met by the manager in his car that filled out the paperwork, took the money and led us to our site. Very good FHU's and rest rooms new and clean. Very large dog area. For a stop over very pricey but if you are visiting the casino and beach area is close to all. I-10 runs along the north side but did quiet down in the evening. Very large park and there were only 5 rigs. 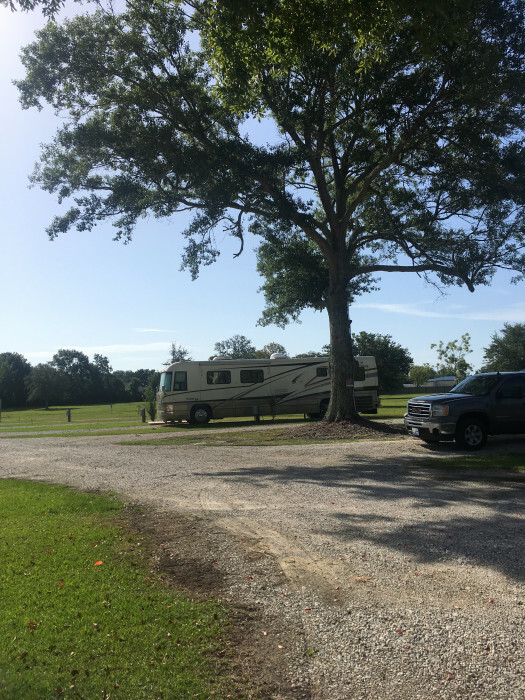 We camped at Allure RV Park and Storage in a Motorhome. Very close to casino area and beaches. Nice park, conveniently located near casinos, beach, restaurants, etc. 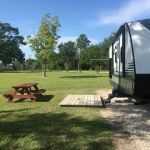 Park is laid out well with long pull through sites available, nice big dog park and clean private restrooms and showers. This is a new park that should do well with a little marketing. It was pretty empty during our stay. 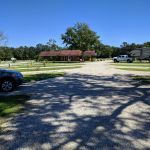 We camped at Allure RV Park and Storage in a Motorhome. 5 miles to waterfront casinos, restaurants, museums. We stayed at Allure for the month of October, hence the cheaper daily rate. Upon arrival, we were welcomed like old friends. The owner and assistant helped guide our motorhome into our space, after which, set a small wooden deck outside our steps. Nice touch! The park is nicely laid out with tasteful landscaping. Sites and park is all gravel with spacious back-in and pull-through sites. Our puppy enjoyed the large, and well maintained dog park. Plenty of shopping and restaurants nearby. WiFi and utilities all worked great, and the Biloxi area soft water is an added plus! 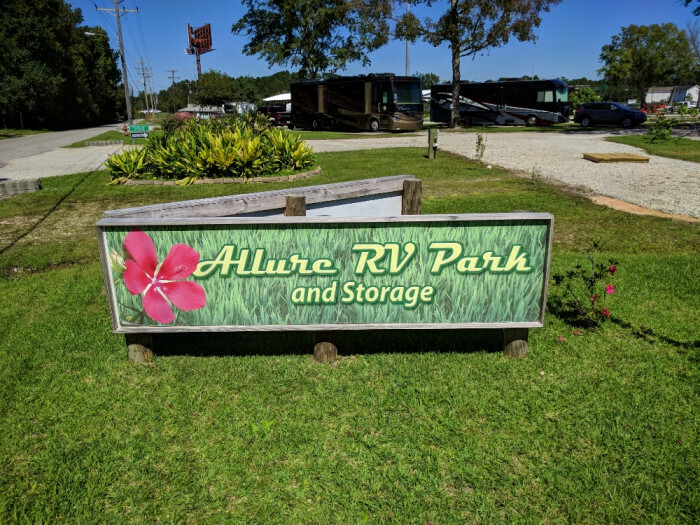 We will definitely be returning to Allure RV Park, whenever we visit the Gulf Coast! 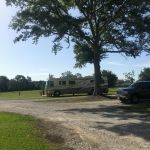 We camped at Allure RV Park and Storage in a Motorhome. Good shopping and restaurants at the nearby Promenade Shops...within a few miles you can find Home Depot, Lowe's, Target, SuperWalmart, Olive Garden, Applebees, Ruby Tuesday, many fast foods, and much more. Great location! New campground which is well designed and well laid out. Pull-thru sites are long enough for our motorhome home and our tow vehicle and are level. Utilities all work good. Sites have nice sized yards and most have a wood deck that can be moved to your door area. Roads are wide enough for easy access in an out of sites. Bathrooms are new, individual with locks on doors, and each has a toilet, shower, sink and mirror. Since it is off of I-10, you hear the interstate traffic but late at night the traffic dies down and it is fairly quiet. There is no sign pointing you to the campground out on the main road (Popps Ferry Road) so you have to trust your GPS when turning north on Gay Road (which is a smaller road running alongside a Family Dollar store). Will definitely stay here again when in Biloxi. 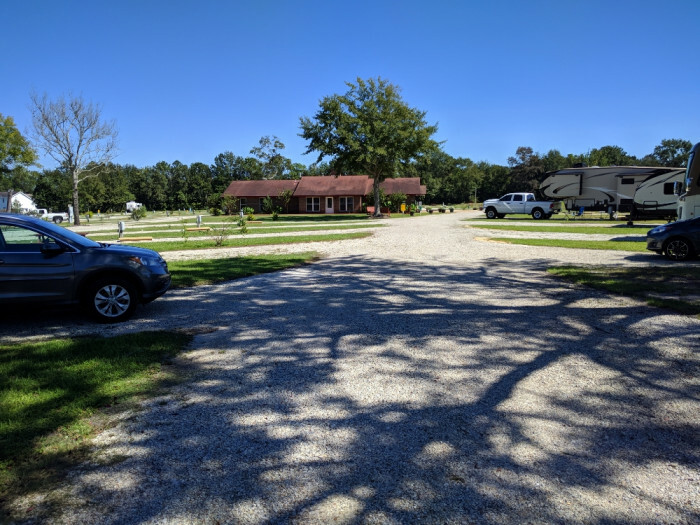 We camped at Allure RV Park and Storage in a Motorhome. This is a new park in a quiet area close to I10 in Biloxi, MS. Spacious and well maintained. Large dog park and whole RV park is well lit. We will definitely stay here again. Cable and WiFi worked fine. 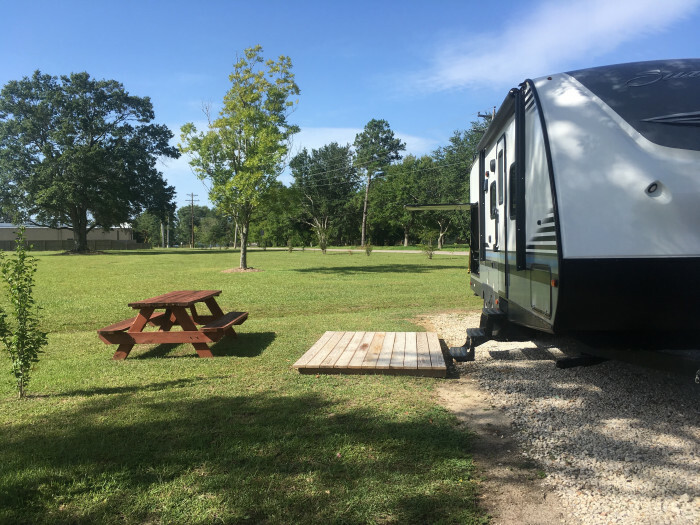 We camped at Allure RV Park and Storage in a Travel Trailer. Plenty of convenient shopping and restaurants nearby. Had a wonderful time at the RV park. Facilities were clean and the entire area was spacious. Plenty of room to stretch your legs after driving for a long time. Would recommend to all travelers. We camped at Allure RV Park and Storage in a Motorhome. Are you affiliated with Allure RV Park and Storage ?